Temple Pavada. 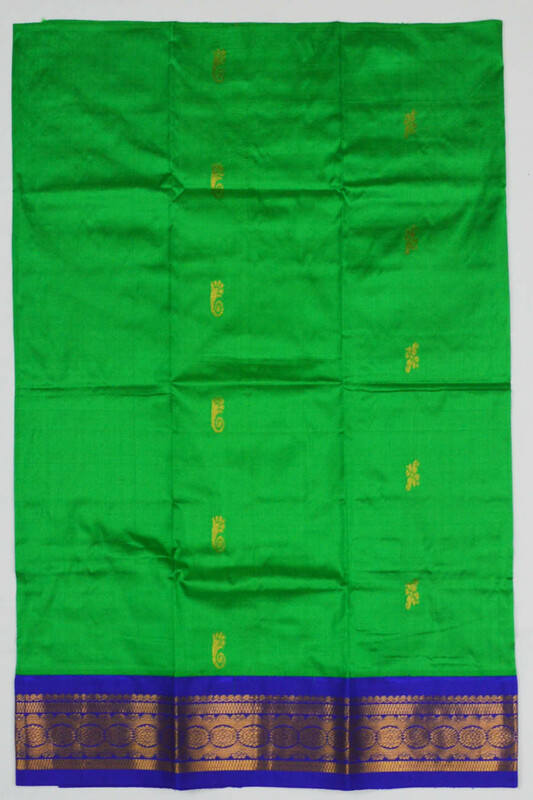 Leaf Green body with dark blue border woven with Zari. Ideal for Urchavar Alankaram.